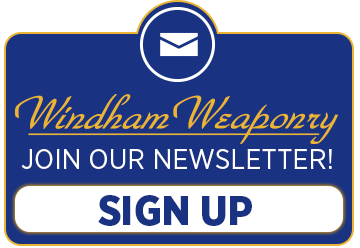 News from Windham Weaponry, Inc.
October’s cooler weather (well, for some of the country anyway!) brings more shooter’s out to the range for practice and camaraderie. There’s no better way to bring a new “Wow Factor” to your range than to show up with a new Windham Weaponry Arm Brace Pistol. We’re revamping our AR15 platform pistol line, and the first caliber out is .300 Blackout – there’ll be other calibers to follow. This 9″ Barreled Pistol is accessorized with an SB Tactical Pistol Arm Brace, a 7″ Windham Weaponry Free-Float Railed Handguard and a Hogue Beavertail Pistol Grip. Wow, indeed! We’ve also included a set of Kriss Front & Rear Flip Sights and a Quick Detach Endplate and Quick Detach Sling Swivel for easy sling mounting. For your safety, we’ve laser engraved the 300 Blackout caliber on the upper receiver to avoid ammo mix ups, and with its 5.5 lb. light weight, you’ll find this new pistol packs plenty of “wow”. Full details are below, or on our website. Beware that .300 Blackout Ammo can be chambered in a 5.56/.223 chamber with catastrophic results! This article is a little different from the previous gunsmithing tips and procedures. Since I have seen at least 3 returns come in with this problem, I think a warning is in order. It can not be stressed enough to match your ammunition to the markings on the barrel! I want people to be aware of this as I have had more than one rifle returned for this type of failure. It’s usually when someone at the range has a 5.56 caliber rifle and they are next to someone that has a .300 Blackout. A round of .300 Blackout gets mixed in with some .223 on the shooting bench and disaster follows. Always pay close attention to the rounds you are loading in your magazine, and never let ammunitions get mixed together on the shooting bench. Don’t let this happen to you! As you can see in this sectioned barrel the bullet actually gets squeezed down to the smaller bore size and the overpressure makes the gun explode. In this case the lead actually shot out of the middle of the jacket. I have also seen a 110 grain .300 blackout bullet get knocked out of the bore intact after the rifle failed. It ended up being a slug that was .22 caliber, about 1½” long and 110 grains. What does the stamping on my Windham barrel mean? All Windham Weaponry barrels are stamped on the top of the barrel with our Windham Weaponry marking, the Barrel’s Caliber and the Rifling Twist Rate. Below are some examples. Keep in mind that any barrel marked 5.56MM will also fire .223 Remington as the bullet diameter is the same. The HiperFire EDT3 “Enhanced Duty Trigger” is a significant upgrade for your AR platform rifle. Chosen by Military; LE/SWAT; and discriminating shooters, this high quality Single Stage, Semi-Auto Trigger features Radical Sear Mechanics™; a choice of included 4.5 or 5.5 lb. pull Hammer Springs; and a heavy, SwingFast Hammer Head™. Get faster lock-up; a crisp, clean, trigger break with very short over-travel with a very positive reset you can feel and hear. Included in the package are: Trigger; Hammer; Disconnector; Green Hammer Spring (4.5 lb./pull weight); Red Hammer Spring (5.5 lb./pull weight); Two AR 0.154″ diam. pins; AR Disconnector Spring; AR Trigger Spring; Drift Pin and Assembly Pin (already installed to hold trigger and disconnector together for easier assembly). The HiperFire EDT3 Trigger carries a Lifetime Warranty through its manufacturer – HiperFire. All made in the U.S.A. I would like to announce that Windham Weaponry and Windham Indoor Shooting Range and Retail Store will be hosting a Law Enforcement and Military Appreciation day on December 6th, 2017! 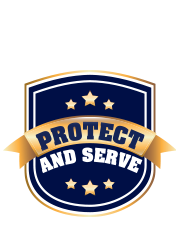 If you are active or retired Law Enforcement /Military you are welcome to join us. I know for many of you traveling to Maine in December is a gamble with the weather and all, but I can say it would be worth the trip if you take the chance. Please be sure to RSVP us regarding this event. We at Windham Indoor Shooting Range and Retail Store wish to provide an enjoyable shooting experience. One of the services we offer is personalized private lessons. Whether you have never fired a gun before or are already an experienced shooter, we can tailor the lesson to your needs and ability. We have NRA certified instructors ready to work with you. Please call 207-892-0274 to schedule a lesson. Every Thursday now through December, we are having our Fall Shooting League. Each week will bring a different course of fire. The courses are designed to help you increase your skills and get you to think on your feet. They are open to all skill levels, from beginner to advanced shooters. Bring your own gear or rent ours. We have three categories: Pistol, Carbine, and Carbine/Pistol transition. Gear used includes Pistol and/or Carbine, Holster, Magazine Pouch(s), Sling for Carbine, 3 Magazines for Pistol and/or Carbine, 3 Speedloaders for 6 shot Revolvers, hand held flashlight and/or weapon mounted flashlight. Ear and Eye protection is available if you don’t have your own. Times run from 11 am to 1 pm and 3:30 pm to 7 pm. Round count for each week will be 24 rounds unless otherwise specified. You will generally have enough time to go through twice, but remember the first time is for score. These will be fun and as challenging as you want them to be. Participants will be able to go through at their own pace and scores will be posted so you can see how you improve over this 14 week cycle. As always, our instructors will be there to give advice and coach you on improving your shooting as well as suggestions for employing good tactics. The cost is $14 for one gun and $20 for two. Feel free to come watch to see if this is something you would enjoy participating in.